Stonecarpet is not really carpet, although it gets its name from having the soft appearance of carpet. 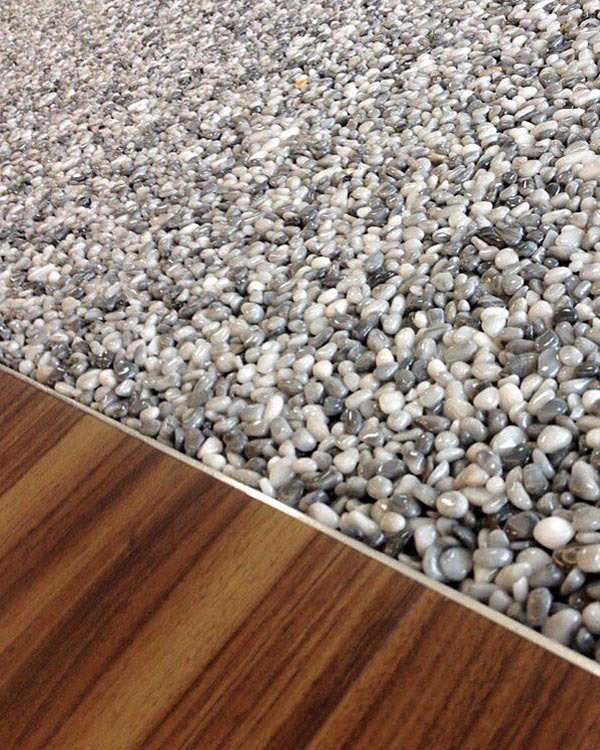 Stonecarpet is made from actual, all natural, mined quartz from ancient river beds. The stones are 2 to 3 millimeters in size and have been screened for size and shape before they are permanently dyed and ready for installation. An unlimited number of colors are available to be combined for complex designs, borders, logos and other graphics to be used in your floor. Because Stone carpet is made from quarts, it is extraordinarily strong and will virtually last forever. My customers are always commenting on it. They say it is beautiful and that it feels comfortable when they walk on it. We have installed Stonecarpet in two of our showrooms and absolutely love it. Stonecarpet was installed in St. Mary’s Church in 2007 after carefully weighing all the factors. They were cost, acoustics, safety, longevity and ease of maintenance. On all points, Stonecarpet scored high and it still continues to to provide these benefits. We couldn’t be more satisfied with our selection of Stonecarpet. We’ve selected Stonecarpet three times. First, we had the Harley-Davidson showroom done and we were so impressed that we had Stonecarpet installed in our Honda, Yamaha, Suzuki, and Harley-Davidson showroom. The floor has lived up to everything we were promised. Not only is Stonecarpet striking to the eye, but it is also easy to maintain and provides safe footing for our customers. No matter how tightly you turn the wheels while moving the cars, you will leave no black marks on the floor. We have used Stonecarpet on three different occasions and repeated use demonstrates our belief in Stonecarpet as the perfect showroom floor. It has no ugly grout lines and it always looks great! 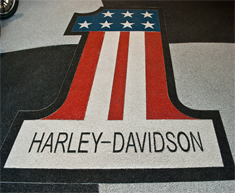 We listened and weighed the advantages of Stonecarpet for our Harley-Davidson store, and we were impressed. Then we went out and saw the actual installations, and we were convinced. 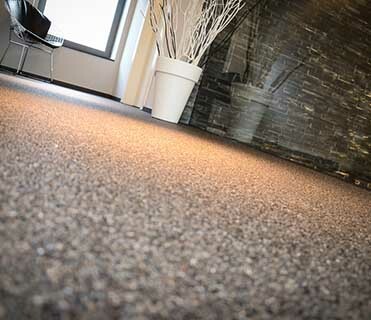 Currently we have Stonecarpet in both our dealerships, which we built 15 years apart. 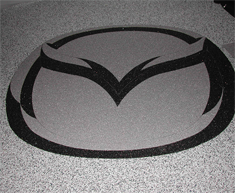 We have installed Stonecarpet at our Kia, Ford and Lincoln/Mercury dealerships, beginning in 2001. The ease of installation — which meant no impact on our operating hours — and the ease of maintenance weighed heavily on our decision to do repeat installations. Without hesitation, I would recommend Stonecarpet strongly to any dealer contemplating building either a new showroom or remodeling an old one. Stonecarpet is a perfect alternative to other flooring solutions such as carpet, concrete, tile, etc. 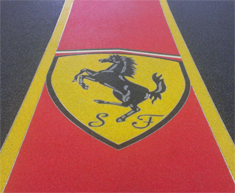 Stonecarpet is extensively used in motorcycle and automobile showrooms across the nation. Used by architects and interior designers worldwide, Stonecarpet creates a very unique floor covering in office lobbies and entryways, reception areas, meeting rooms or any new construction flooring needs. Stonecarpet is an all natural, extremely durable, slip resistant and seamless flooring alternative that is more affordable and easier to maintain than other flooring choices. Stonecarpet is kept clean by simply dry vauuming on a regular basis, and a hot water extraction cleaning once a year. 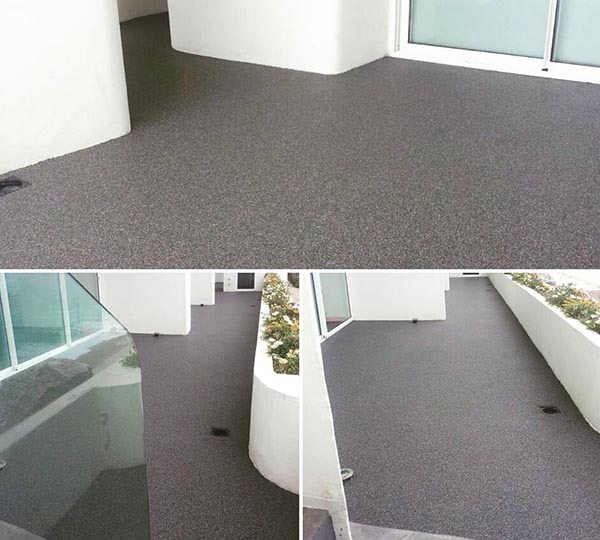 Because Stonecarpet is made of thousands of small quartz crystals, Stonecarpet will last virtually forever and is guaranteed for life. 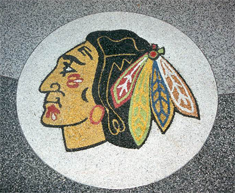 Stonecarpet Flooring Inc. marketed the Stonecarpet flooring product more than 28 years ago to bring a unique, natural quartz stone flooring system to the United States. © 2019 Stonecarpet. All Rights Reserved. Website design and hosting by NWA, Inc.